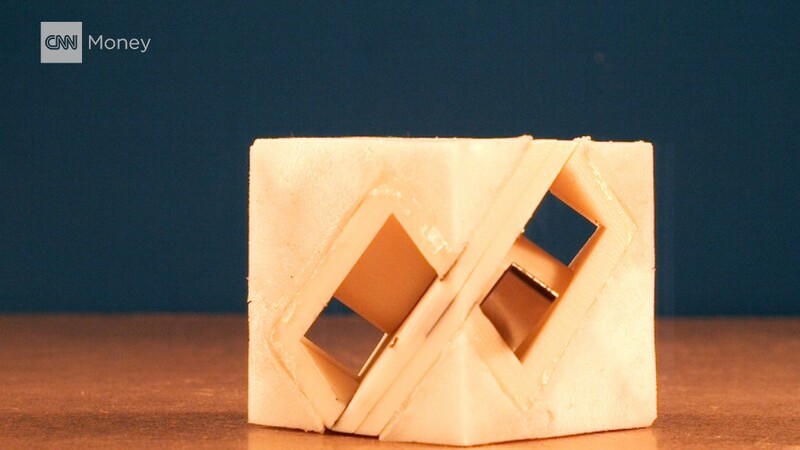 We may be living in an golden edge of robots. They drive cars, work as security guards, deliver room service and drop burritos from the sky. Yet there's one big problem -- they're not perfect. Drones are always at risk of crashing. Ground robots have their own issues. They can become confused, and chaos ensues. Earlier this year, a 300-pound robot ran over a toddler's foot in a shopping mall. Robots can be a hazard to humans, and themselves. Repairing a robot isn't cheap. Researchers at MIT's Computer Science and Artificial Intelligence Laboratory have taken a step toward solving this issued. They're 3D printing lightweight shock absorbers to lessen the risk of mishaps. These customized shock absorbers blend rubber, plastics and liquids. Since the "bumpers" aren't rigid, it's less dangerous for a robot to crash into something. As robots become safer and more durable, they'll increasingly take on roles in the real world. The MIT researchers published their work in a paper online, and they will present it at a Korean robotics conference this week. 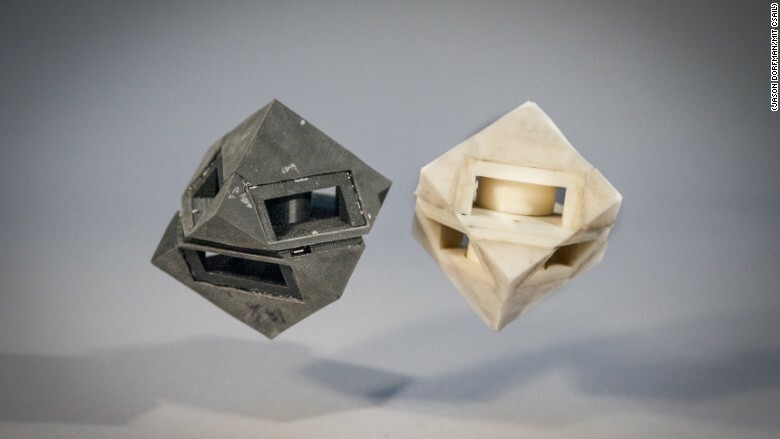 They demonstrated their work with cube-shaped robots that jump without damaging themselves. The robots, dubbed "sand fleas," launch themselves into the air with the help of a pressurized air cannon. The research is still in the early stages, so the average person shouldn't expect to see these shock-absorbing bumpers on a drone in the near future. Down the road the technology could also be useful in creating custom sporting gear and minimizing camera vibration.